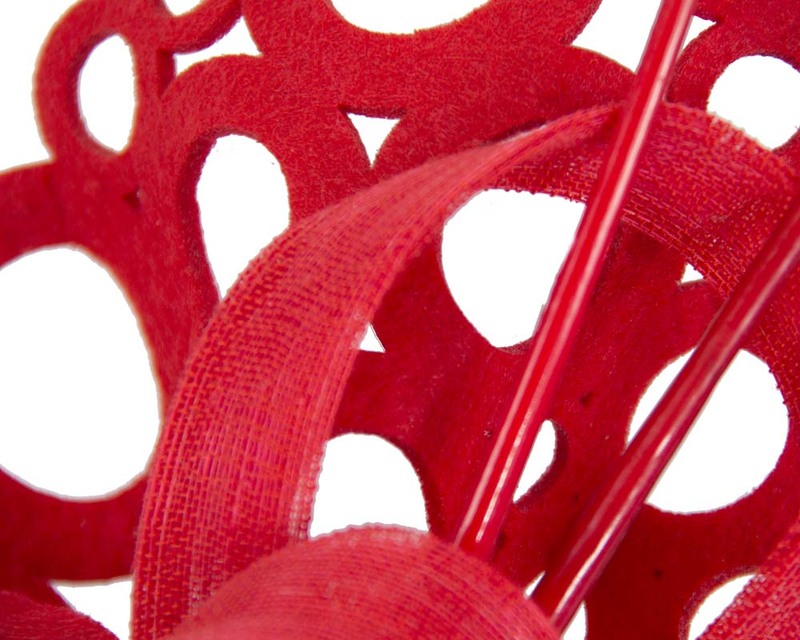 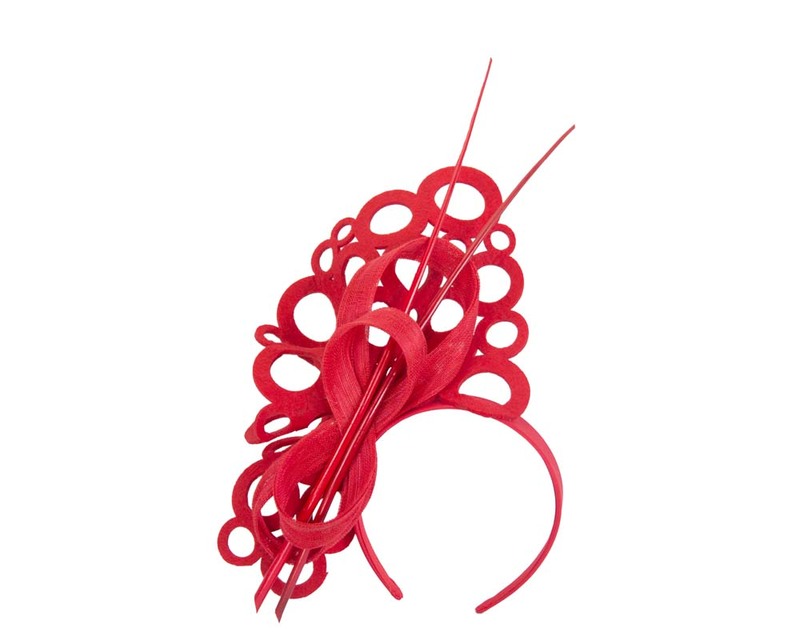 We make this red fascinator from precision laser cut fabric to achieve perfect sculptured look. 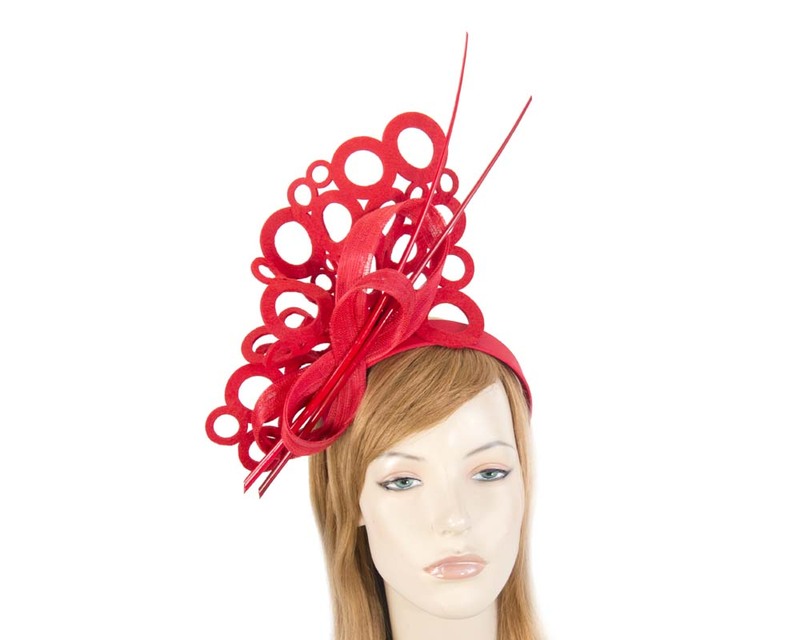 With addition of long feathers and paris cloth loops, this fascinator is a perfect creation for any racing or special event. 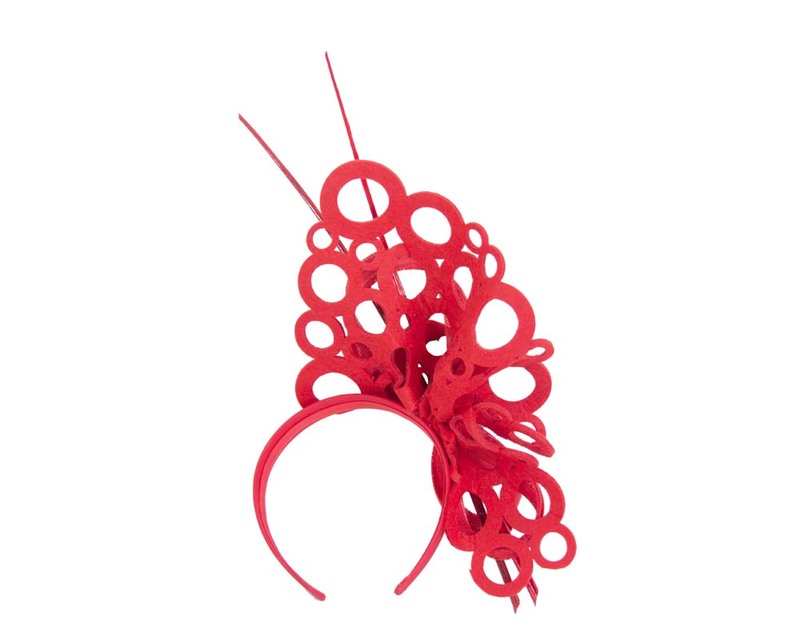 As each fascinator is hand made by us in Melbourne, there may be a few days delay creating your perfect headpiece.